As his grandfather was very sick with cancer in 1964, he returned from L.A. to DC and in the summer of 1964 and played with Charlie Hampton and Harold"Philly" Chavis at "The Brass Rail" . Many nights they were joined by Buck Hill on tenor sax . It was that summer that Bob met bassist Steve Novacel ,who also would sit in with the band and experiment with two bass things .Fall of 1964 he left Washington again to go back to LA only to run out of money shortly after learning of his grandfather's death . He decided to go on the road and play with a contact he had made playing with other musicians at "Mothers" . 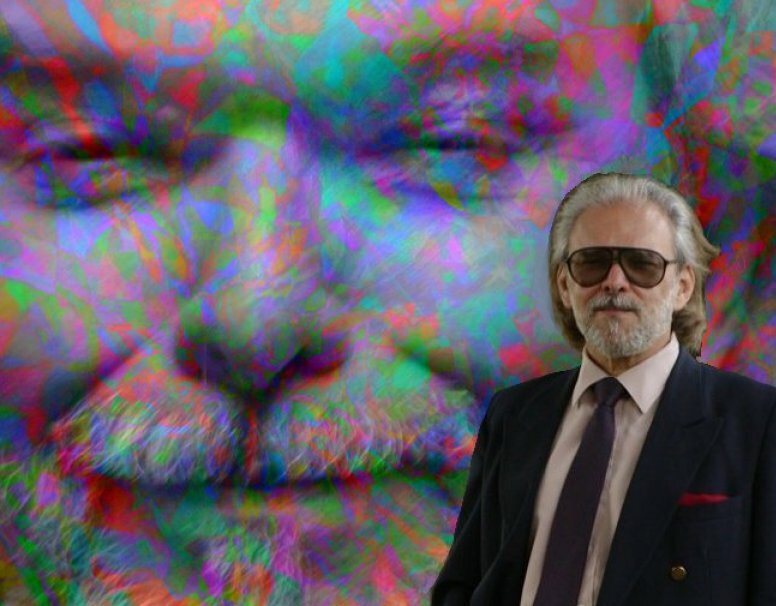 The "Lee Raymond Show" toured the West Coast and eventually traveled East to Austin Texas where Bruno met Bob Sardo . Playing with Bob at the "Id" ,a university coffee house .One night the band had to have Janice Joplin thrown out as she tried to sing with them for the third time . She was so loaded that night she had fallen in front of the audience . Bob Bruno played the Corpus Christy Jazz Festival with Bob Sardo and also became the house bassist for the show . Lanny Morgan , the alto player with the Maynard Furguson band , was big man on campus there . After touring the entire US with the Lee Raymond Show, he left , stopping in DC for a while , yet returned to Austin where he eventually played the Austin Jazz Festival with Bob Sardo , Fathead Newman , and the Teddy Wilson Trio featuring Coleman Hawkins . The Bob Sardo Trio had a jazz gig at that time at the "Iron Gate Inn" which was sometimes frequented by Lyndon Johnson before and during his presidency . The "Iron Gate" opened a downstairs jazz club during the jazz festival from four to seven in the morning where many musicians from the jazz fest came after their gigs . Roy Haynes , Stan Getz, and Kenny Dorham were among the great musicians to join the trio . It was during the jazz festival in 1965 that Bob met Jerry Jeff Walker as Bob auditioned to play solo guitar in a local bar there , singing his original songs . They hit it off right away , as did Jerry's pal , Pete Troutner, who also was traveling the southern coffee houses doing his solo folk act . The three of them were a team .Pete and Jerry joined Bob in his "Castle on the Colorado" till they were ousted for thier robust ways . They formed a rock group called "The Lost Sea Dreamers" when they all moved to Houston Texas and lived with Gary White , another writer , folk singer( "Long Long Time" "Nobody's") who was playing and singing lead with a group there called the "Baroque Brothers".This was the neucleus of their eventual recording group called "The Circus Maximus". "The Lost Sea Dreamers" became the house band of the "Nite Owl Cafe" and eventually "The Electric Circus" . 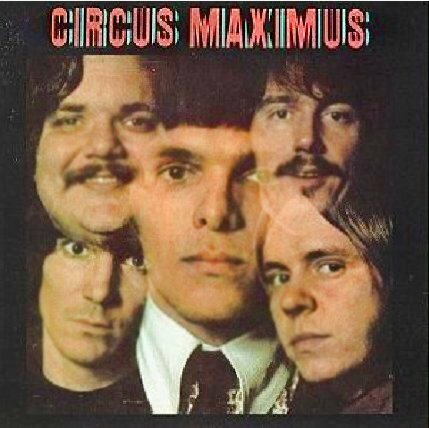 Though they were invited to change their name to "The Electric Circus" , they declined and the name "Circus Maximus" was adopted before their first album was produced. The "Circus Maximus" recordings were originally released in 1967 and re-released in the nineties under the name "Jerry Jeff Walker and the Circus Maxi mus" . 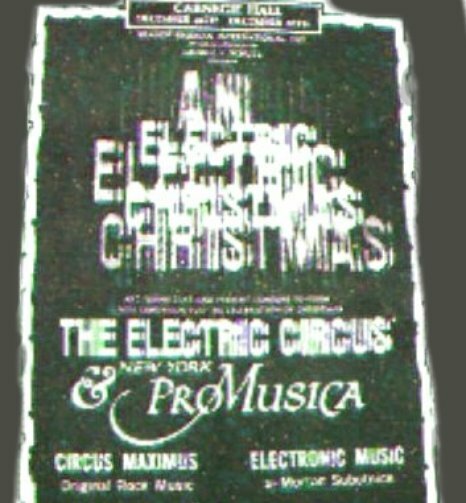 The "Electric Christmas" at Carnegie Hall was produced by the "Electric Circus" and George Shutz . The centerpiece of that show was a piece by Gilluam de Machaut ,"Douce Dama Jolie",arranged by Bob that included the New York Pro Musica and Morton Subotnic ( A version of that arrangement is found on this page titled"Electric Lovely Lady"). While the entire show was recorded the three recording companies , Decca, Nonesuch, and Vanguard could not come to an agreement . 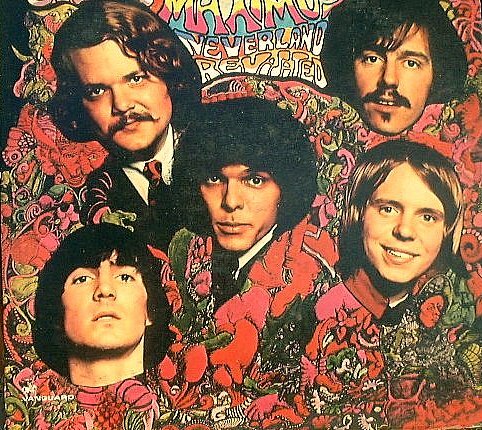 Bob Bruno was generally blamed by Vanguard Records for not informing the company that the group had actually broken up before the release of the second album, "Neverland Revisited"( released in 1968). Maynard Soloman , one of the two brothers who owned Vanguard , tied Mr. Bruno up in a contract that wouldn't allow him to record for anyone else though the company didn't plan to record him any further . After trying to escape the contractural obligations and failing in spite of getting help from interested manager ,Robert Goldings ( Leslie Uggams and George Carlin's manager in 1968) ,he decided to leave the pop music writing-arranging field . "Neverland Revisited" was re-released around 2005 as a CD ironically listing Jerry Jeff Walker eroneously playing lead guitar and as the main ingrediant of the recording when he had already been fired before the finished product was actually prepared for Vanguard by Bob . Bob created a mix called "Neverland Re-visited which built in intensity and went directly into a Jerry Jeff ballad called "Hansel and Grettle" . In the recording studio there was an argument about Jerry's lyrics in the very end of the set up song which suggested that no one wanted to hear "Vague after Winds" . This indeed became prophetic as the "Wind" was contracturally silenced and he retreated from writing popular music. Bob stayed in New York for years after the end of the Circus Maximus maintaining a power rock trio and using the same name . They toured for Ampeg Amplifiers (Unimusic Inc.) and helped to change the identity of that company from a bassist-musician instrument to a power amp for guitars . At that time the New York City Ampeg offices were loacated on W 48th street and happened to be in the same building as the "Record Plant" , a prolific recording studio of that era . The Circus Maximus Trio was able to rehearse in the Record Plant for their tours . Jimi Hendrix was also there being recorded by Eddie Cramer ,recording the"Electric Ladyland " project . Playing the organ ,Bob met and sessioned with Jimi , Mitch Mitchel ,and Buddy Miles who was eventually taking over the drum possition with Jimi .One day Bob had the dubious distinction of having his friend , Jimi , have to ask him to turn down his guitar as it was bleeding into the other part of the studio where Eddie was recording Jimi's bass and guitar tracks . This was funny even to Jimi who played quite loud in live situations but , after all the Record Plant wasn't really a practice studio. After the tour the trio had to do another recording for Vanguard Records but the Circus Maximus Trio wasn't picked up. After the Circus era , Bob worked locally around New York and New Jersey playing the organ and toured with the "Platters" . He also backed up other oldies groups including "Vito and the Salutations"and the"The Belmonts". Jazz drummer ,Al Foster played with Bob as a duo and introduced him to Larry Young. Writing for Joe Cusatis and his septet and playing the Village Gate , Bob was able to use Jack Wilkens on guitar once again after meeting him earlier while playing the Catskills . Jack filled out the organ trio near the end of Bob's stay in New York . In 1972 , Bob did a live recording at the Village Vanguard where he had been perfoming every Sunday with Noah Howard , Frank Lowe, Earl Freeman , Juma Sultan ( of the Jimi Hendrixs "Band of Gypsies"),and Rashid Ali( drummer with John Coltrane after Elvin Jones) .The album , an avante guard jazz vehicle ,"Noah Howard Live at the Village Vanguard" was released on Freedom records in Europe . The CD of the recording was re-released in 2004 on Ironman records ( www.phantom-limb.com ). Bruno played the New York area with his bands till 1973 when he moved South to the Washington DC area . Bob was the first pianist to perform at the National Press Club after Nixon played that piano in 1974 . He did many trips on the Auto Train , traveling the noisy tracks to Florida and back playing the piano onboard. In Washington he played society work including performances for one of the Reagan Inauguration Parties and later several performances for the Clinton administration and the Democratic Committee . Mr. Bruno has continued playing organ , piano bars , singing , doing sidework , leading trios and bigger , sharp shooting for booking agents who needed special music , assuming the role of "Soulman" , "Seamus O'Bruno" , "Zoot Bruno" , "The Everly Bruno" , doing fifties shows , and generally doing whatever has been necessary to continue to survive in his field playing music . For the last several years he has been playing primarily jazz piano and leading a trio to a quintet .